The component level HP laptop repair technicians at Creative IT London performed a reballing service on the NVIDIA GeForce 8400M GS graphics processor. The existing 250 GB (5400) hard drive was replaced with a new hard drive and Windows operating system was installed. Accordingly, the black screen and hard disk drive problems were fixed and the HP Pavilion dv6825ef notebook computer with 1.83 GHz Intel Core 2 Duo processor T5550 is functioning perfectly now. 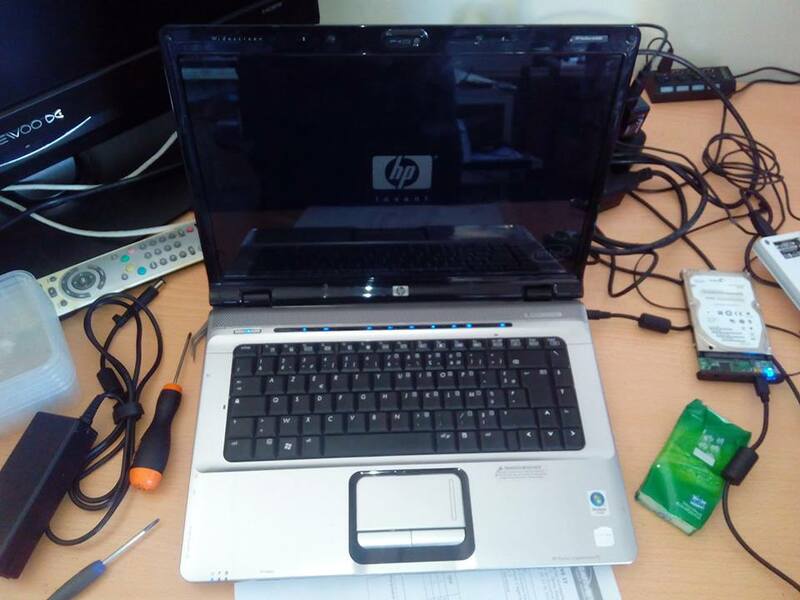 Call Creative IT London on 020 7237 6805 for same day London HP Pavilion dv6825ef repair, HP Pavilion dv6825ef motherboard repairs and HP Pavilion dv6825ef NVIDIA GeForce 8400M GS graphics repair services. We are experts in reflowing or reballing BGA.